Radar at 7:15pm. Funnel cloud reported 7 mi. east of Cherryvale, Kansas. 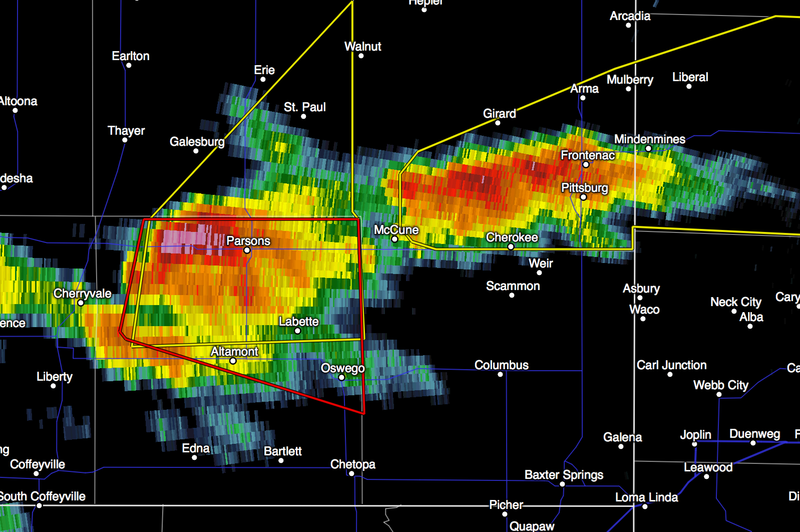 FYI: Joplin in southwest corner of image. The storm is moving E to ESE. Take shelter in the red polygon. 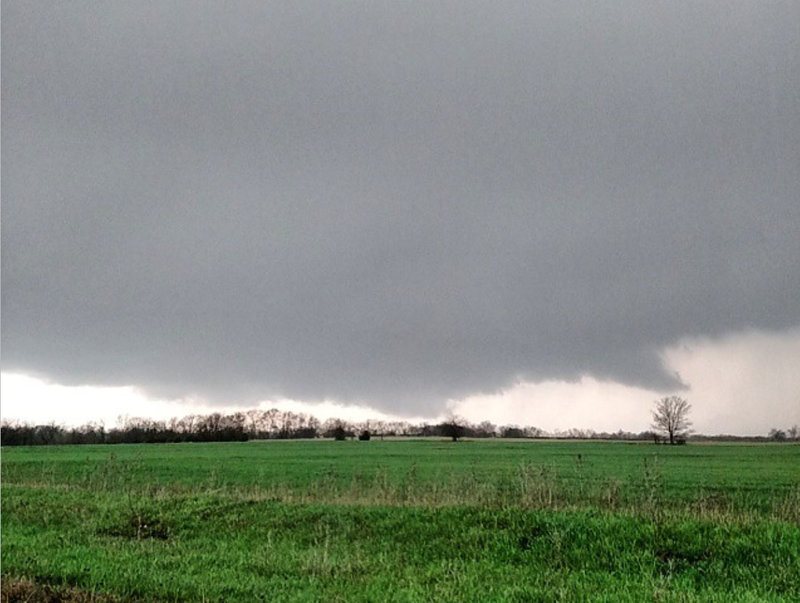 UPDATE 7:22PM: From AccuWeather's Brandon Sullivan, a view of the storm. UPDATE 7:38PM. 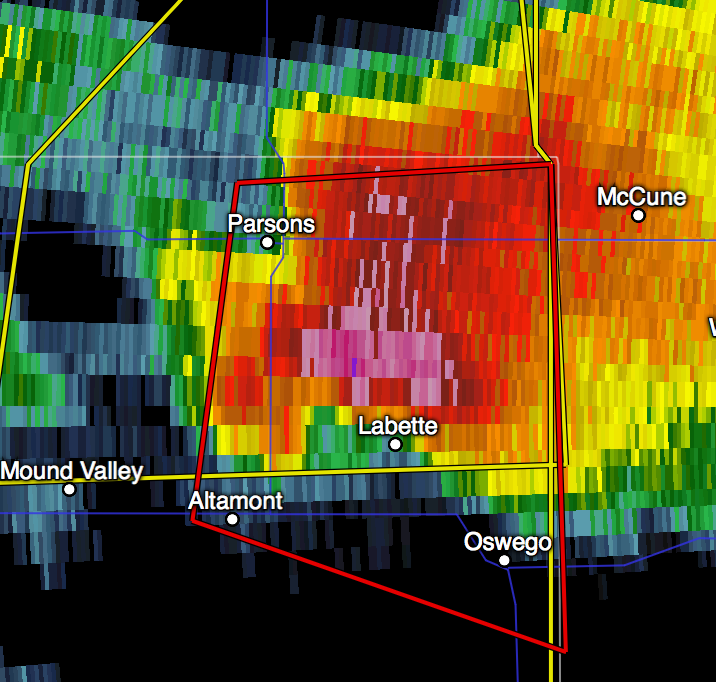 People in town of Labette should take cover immediately!